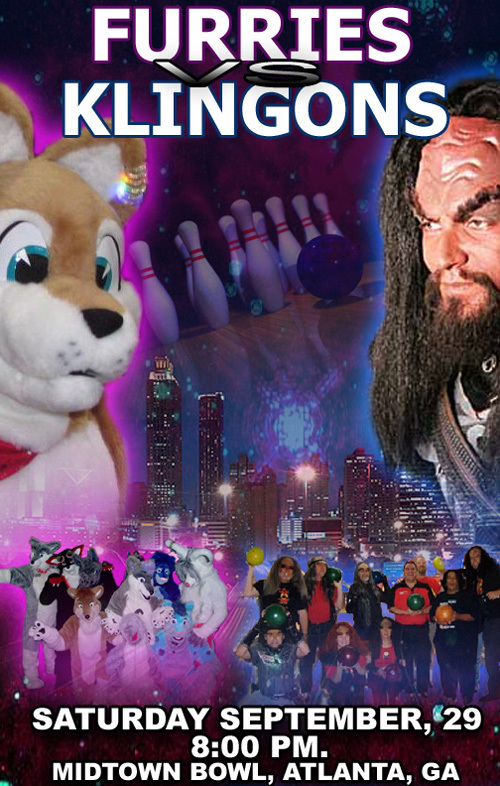 Place your bets, the Furries take on the Klingons this Saturday night (September 29th) at Midtown Bowl in Atlanta. Join the MurrFurs as we take on the “USS Republic Klingons” in their second annual Bowling Challenge! 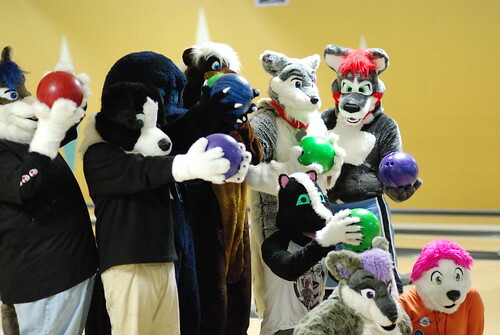 Just like all our bowling events those out of suit are welcome to attend, but if you have a suit please be sure to join in the fun. We will probably go out to dinner afterwards so please plan for that. Hope to see you there! UPDATE 1: Here are some photos of the Furries vs. Klingons bowling challenge from Keith, Patrick Carroll, Hooper_X and Keneke. UPDATE 2: ellebowskigrande shot some video of the competition.